The Yankees took the middle game of the Subway Series on Saturday afternoon, 7-6, over the Mets. The Mets got on the board in the top of the second when Michael Conforto hit a solo home run off Yankees starter Sonny Gray to take a 1-0 lead. The Yankees responded in the bottom of the fourth, starting with Didi Gregorius getting an RBI triple on a hit that Mets center fielder Matt den Decker misjudged, and that tied it at 1. After Miguel Andujar had an RBI double, den Decker misjudged a hit from Greg Bird which turned into an RBI double, and Austin Romine followed with an RBI single to make it 4-1. Aaron Judge hit a solo homer in the seventh to give the Yankees a 6-3 lead, and they got a run on a Romine RBI groundout in the eighth to give the Yankees a 7-3 lead. In the ninth, Yankees closer Aroldis Chapman didn't have it, as he walk Jose Reyes to force in a run, then hit Brandon Nimmo with a pitch with the bases loaded to make it 7-5. Chasen Shreve came in, and got Deven Mesoraco to ground into a double play, which gave the Mets another run, which made it 7-6. Wilmer Flores grounded out to end the ballgame. Paul O'Neill hit a two-run homer in the bottom of the first to give the Yankees an early lead. Chicago got the lead in the fourth when Magglio Ordonez and Wil Cordero each had RBI singles, followed by a Mike Cameron RBI groundout to make it 3-2. 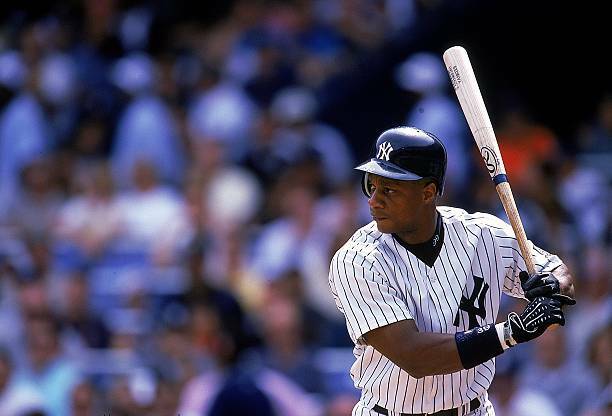 The Yankees tied it in the bottom of the fourth on a Darryl Strawberry solo homer, and Chicago got the lead back in the sixth on a Ray Durham RBI double. Strawberry was at it again in the bottom of the sixth, as he hit another homer, this time a two-run shot to give the Yankees a 5-4 lead, and that wound up being the final. Andy Pettitte improved to 13-6, as he went seven innings, allowing four runs (two earned) on eight hits and two walks, while striking out six. Mariano Rivera pitched a perfect ninth to earn his 26th save of the season. Where they stand: The 2018 Yankees (63-34) remain nine games off the pace of the 1998 team, which was 72-25 through 97 games.